The rapid growth and adoption of cloud computing leads to sometimes confusing situations where security remains an afterthought. At a time when everyone is expected to do more with less, the difference between success and failure hinges upon the ability to communicate effectively. In fact, many people now realize the ability to communicate the value of security, and of their efforts, is the difference between career success and failure. 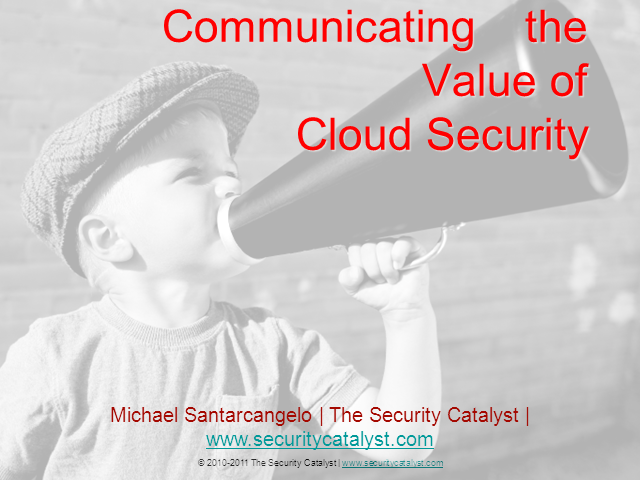 No tricks, tips or gimmicks; Michael breaks down how to assess, distill and communicate the value of cloud security, effectively.